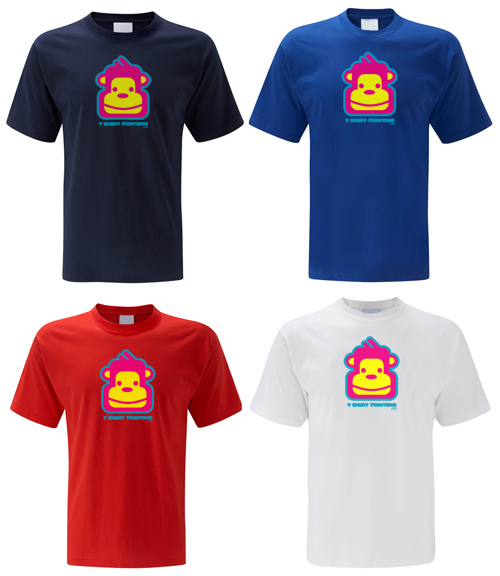 A few weeks ago I was asked to review a cheeky monkey t-shirt(like the one above) from TShirtPrinting.net. I gave it to the teenager of the home because it suited him. He has worn the daylights out of it. He loves it. He likes simple graphics and we have had a really hard time finding him t-shirts that don’t have skulls on them. Drives us both crazy that that is the new craze! And I’m proud of him for deciding that a skull and cross bones don’t really match his belief system. The t-shirt is 100% cotton and after many washes, is still in perfect shape and so is the graphic. Don’t you hate when the graphics get all nasty after only a few washes? If you are looking for quality printing and clothing with your own unique logo on them, then head on over to TshirtPrinting.net Their screen printing is high quality. Once I have a logo I think will print well, I might just have a few Trailing After God tees made up 🙂 We’ll see where the Lord takes this thing! *Disclaimer* I was given a free product to review. No monetary compensation was received. The opinions stated above are my own and I only endorse products that I honestly believe my readers will enjoy. I am disclosing this in accordance with the Federal Trade Commissions 16 CFR, Part 255 “Guides Concerning the Use of Endorsements and Testimonials in Advertising. Scentsy Warmers Friday Reviews! Special Delivery by Kathi Macias – Review DaySpring Life To the Full Let Your Light Shine Art Review & Giveaway! Hello…I love your inspirational blog. I have liked your page and subscribed but can’t find your followers link?